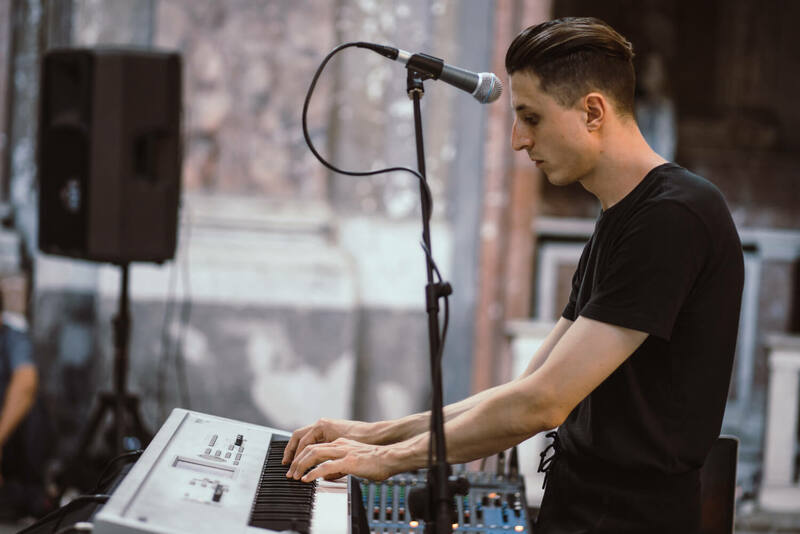 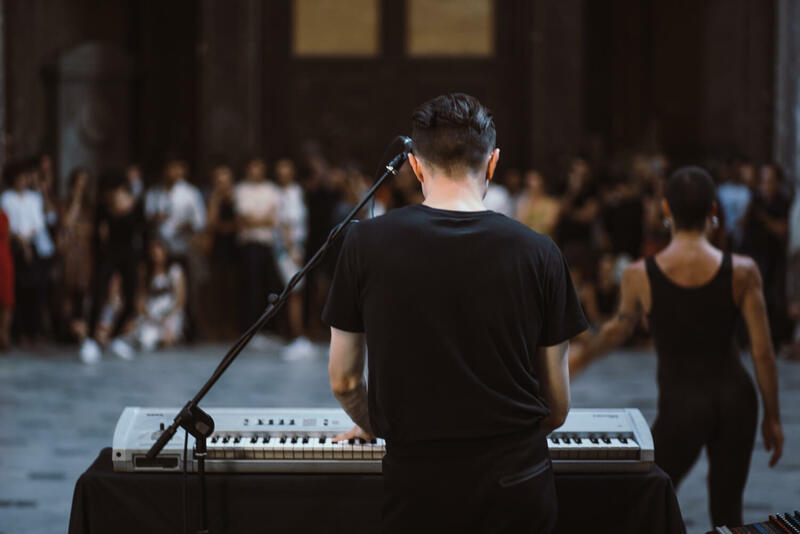 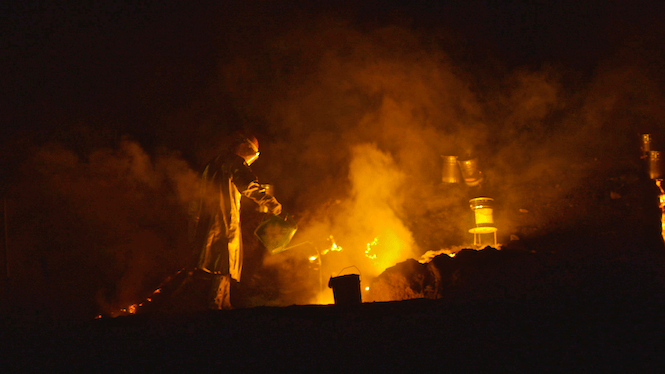 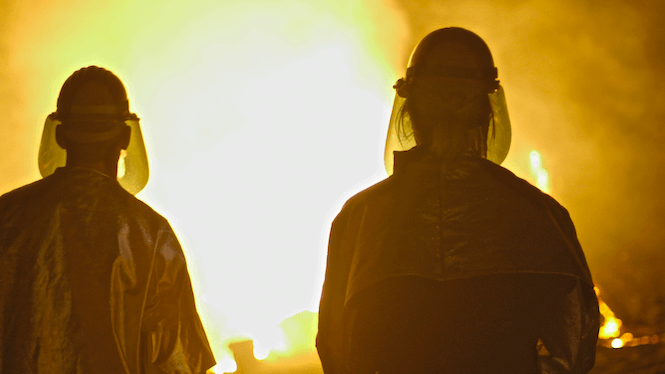 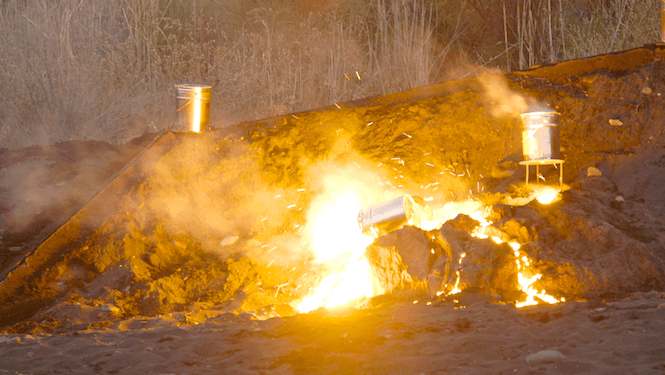 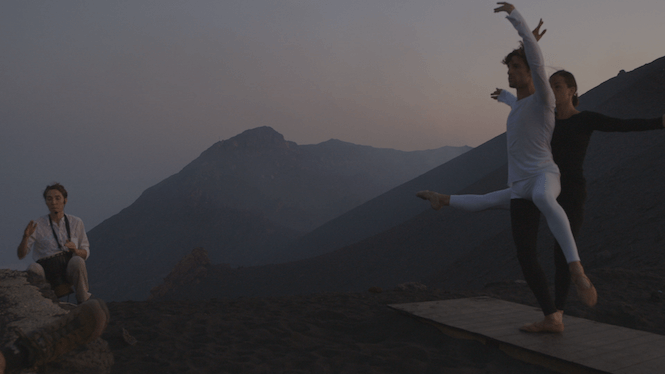 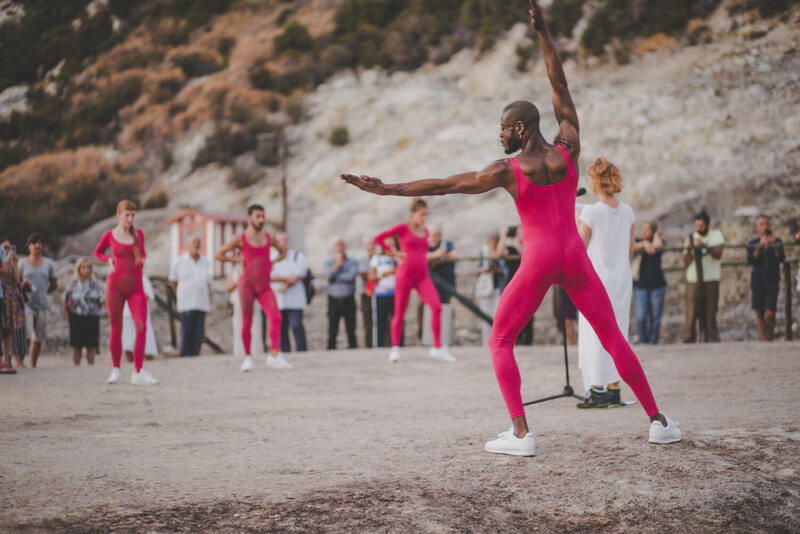 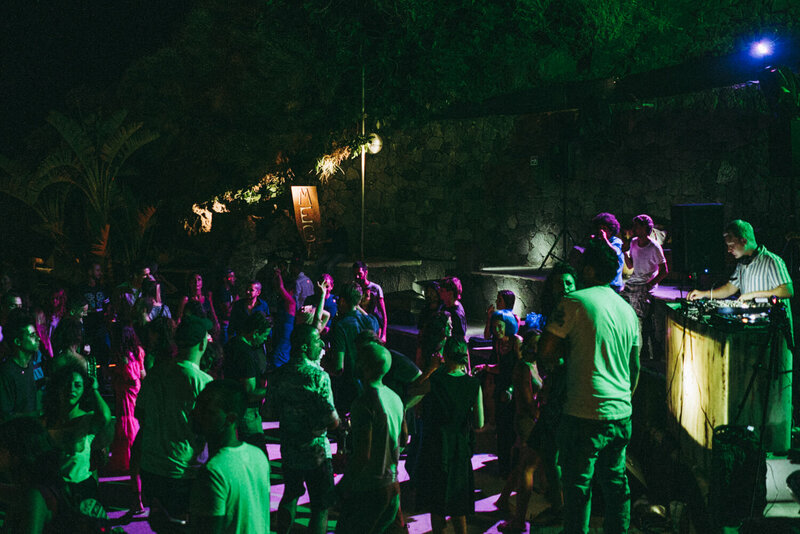 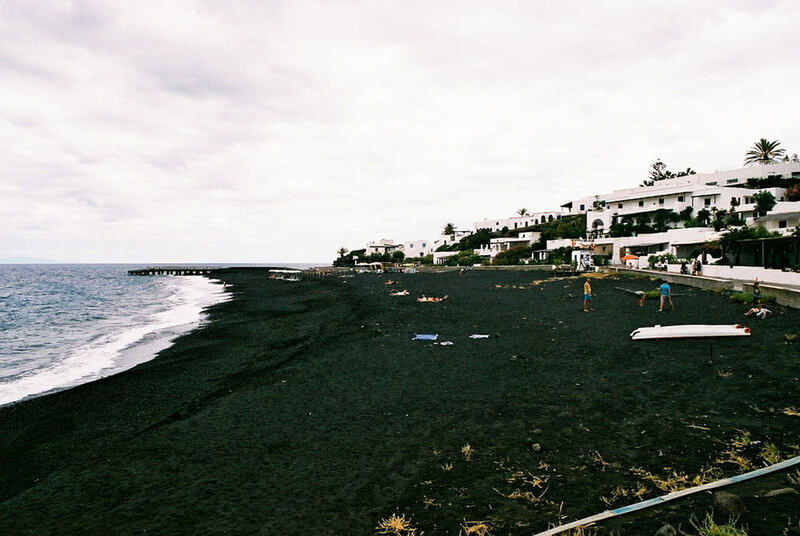 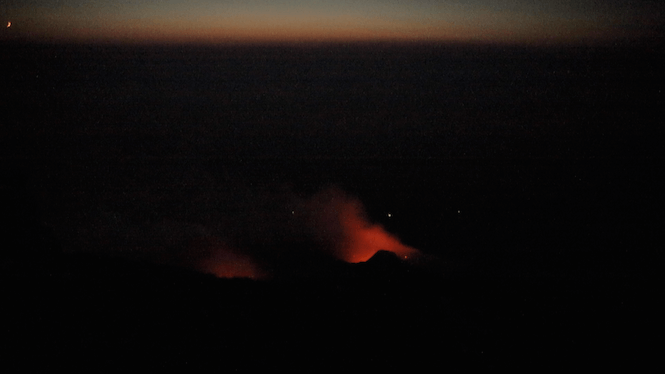 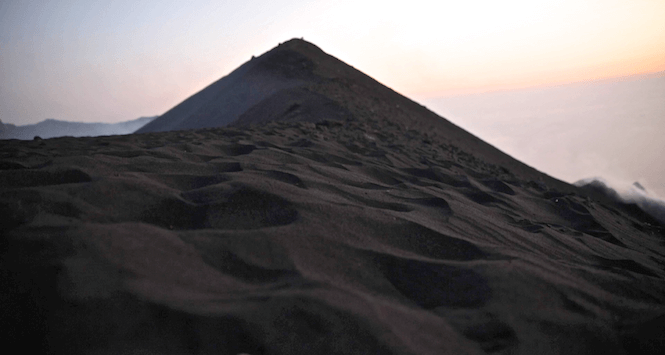 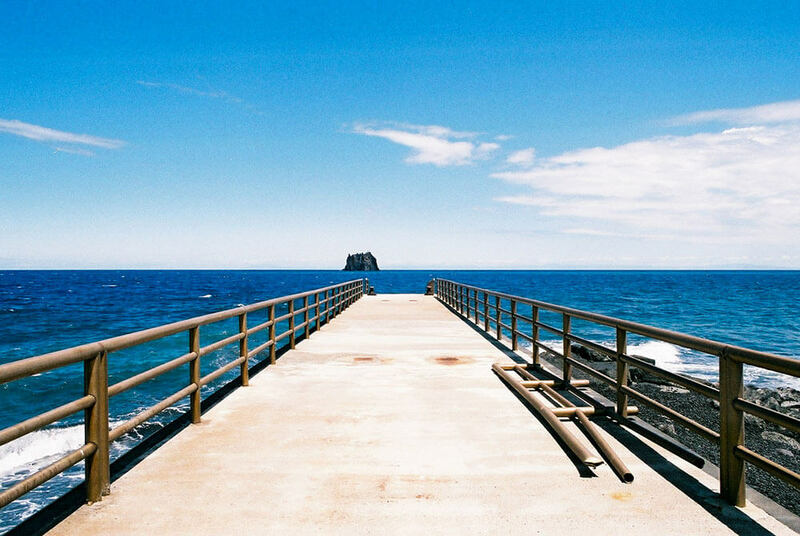 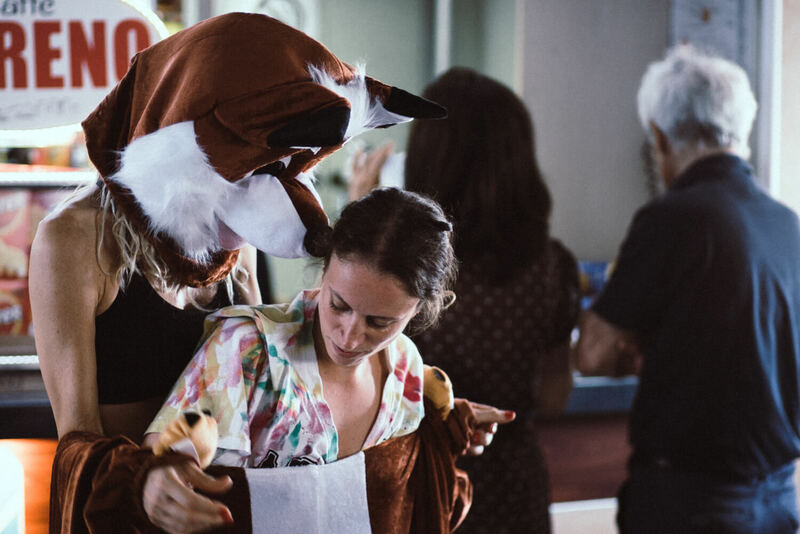 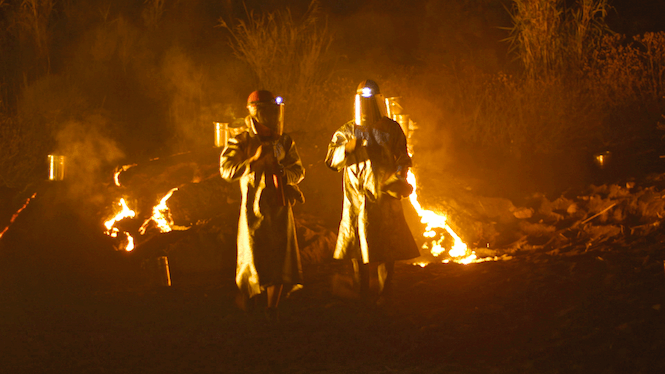 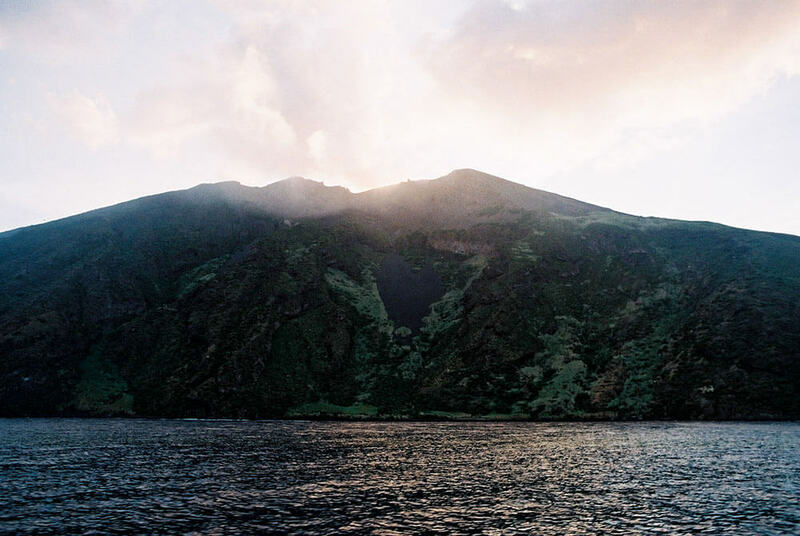 The Vinyl Factory partners and curated the music programme for Volcano Extravaganza, the annual arts festival staged on the mystical island of Stromboli. 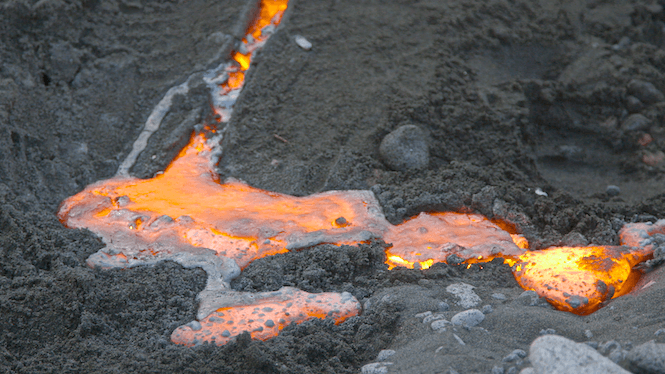 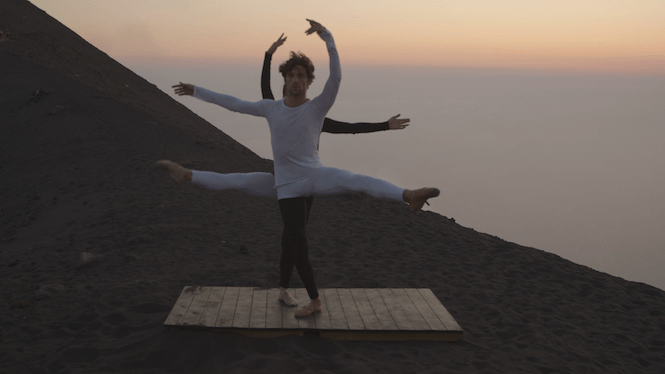 Volcano Extravaganza harnesses the raw power of nature; each summer inviting artists and musicians to perform works amid the wild beauty of Stromboli, an island dominated by an active volcano and circled by black sand. 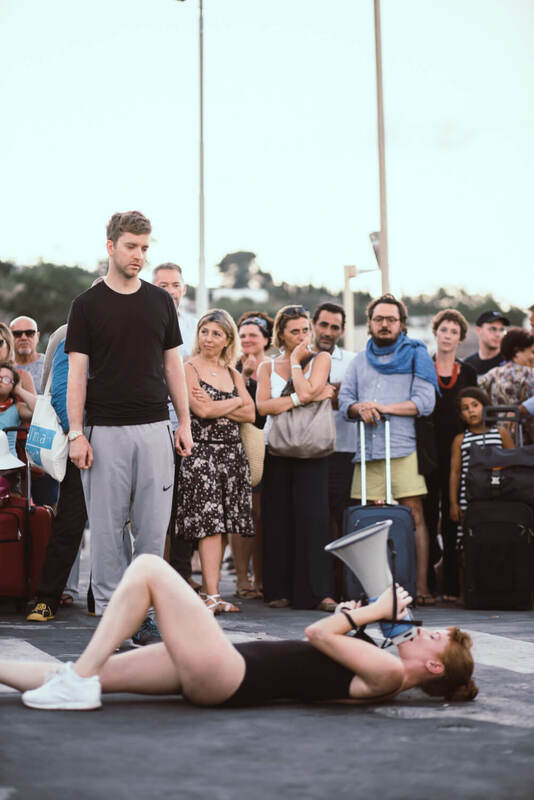 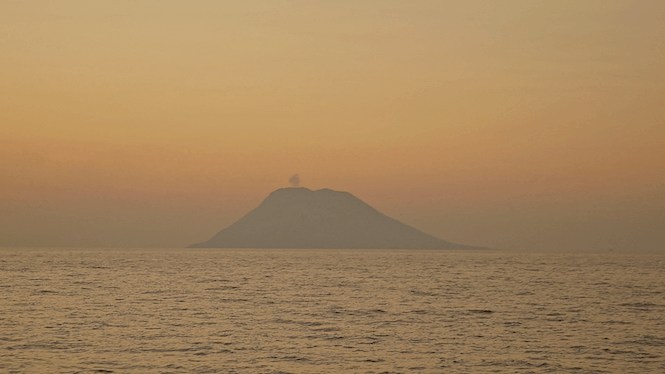 In 2017, Volcano Extravaganza expanded to include a series of performances in Naples before setting sail for the island on an aquatic adventure mirrored in the year’s theme, I Polpi. 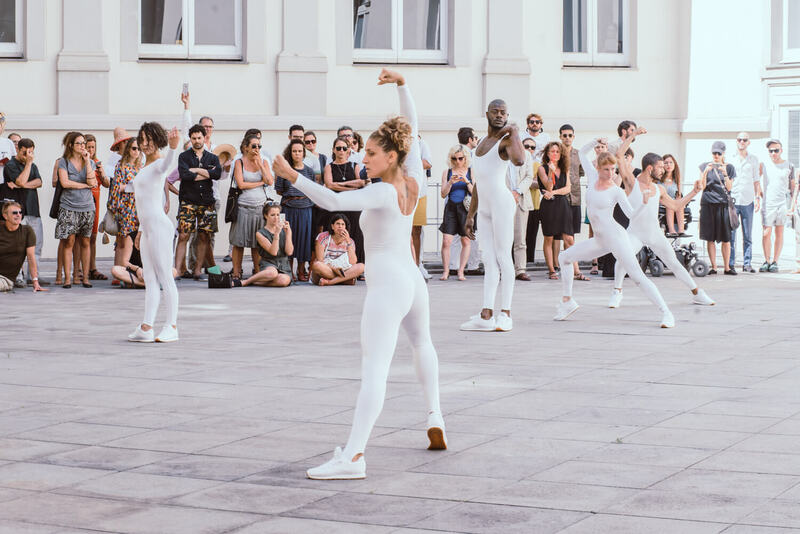 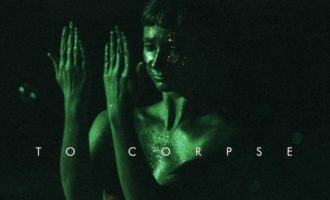 Curated by Eddie Peake, the festival showcased a constellation of performative acts, premiering new choreography To Corpse alongside a selection of Peake’s provocative, genre-bending work. 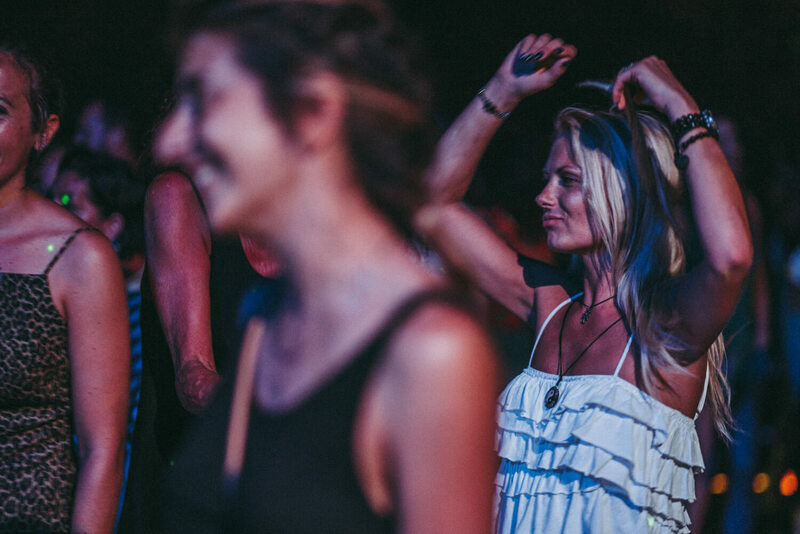 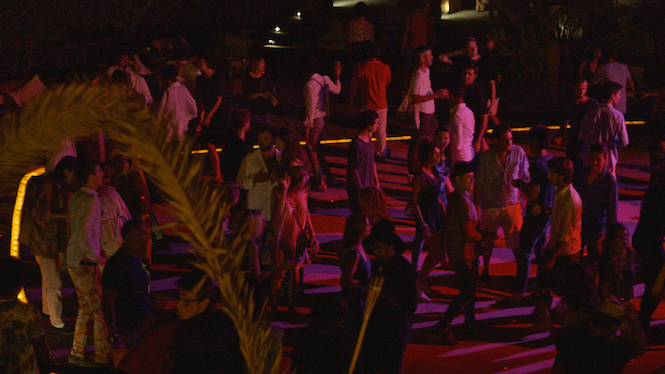 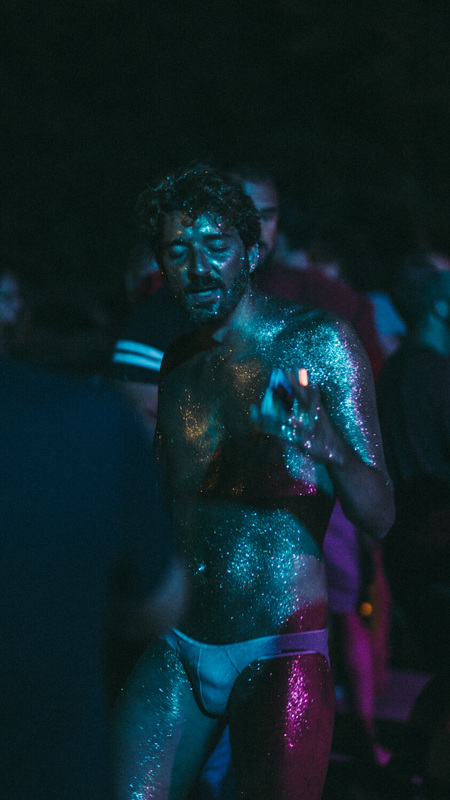 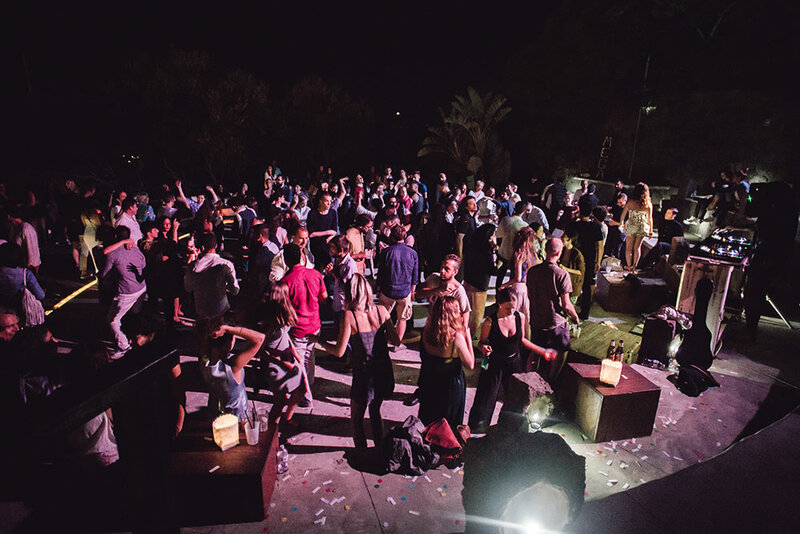 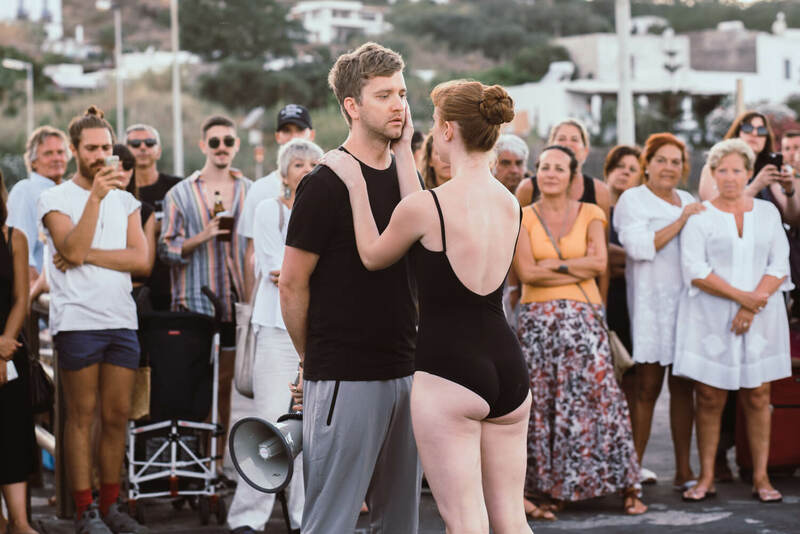 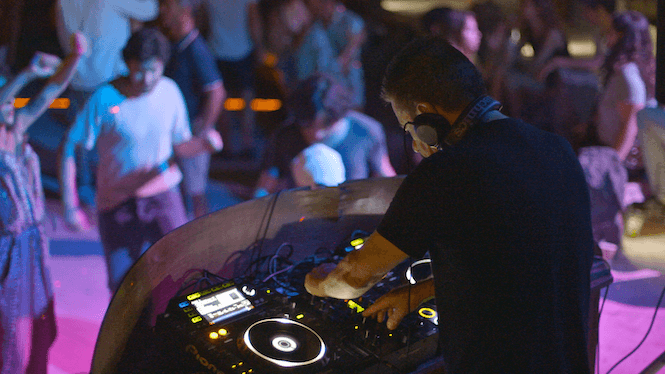 Soundtracked by Actress, Gwilym Gold and Holly Pester among others, the shape-shifting festival climaxed at club Megà, where Balearic originator Leo Mas played a party under the stars. 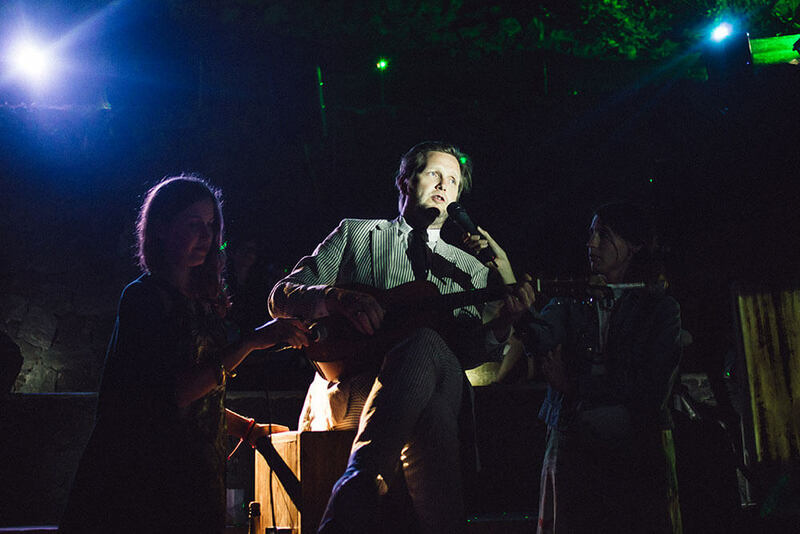 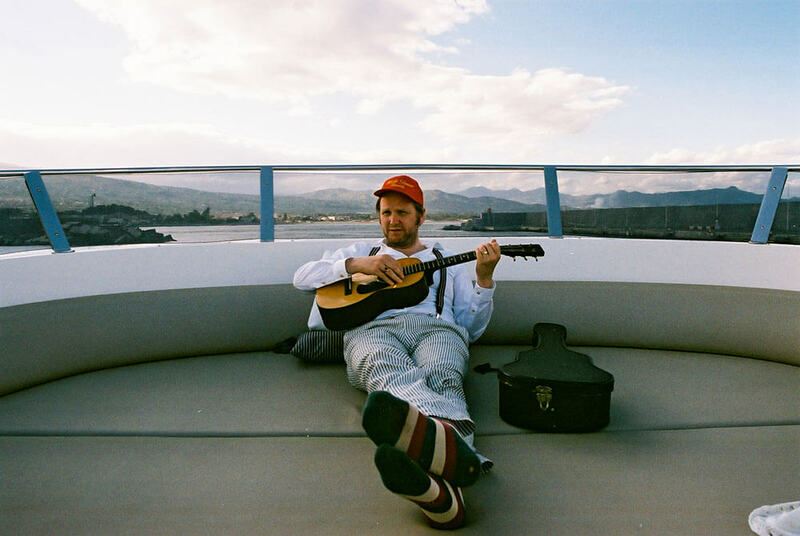 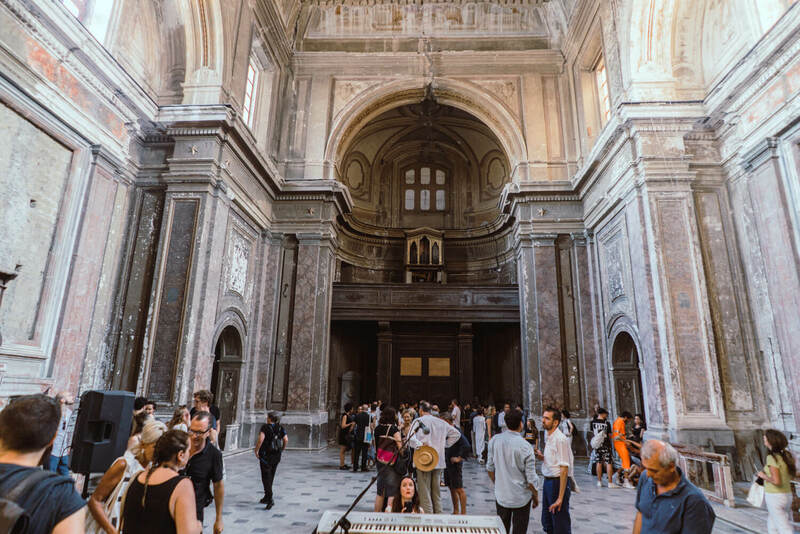 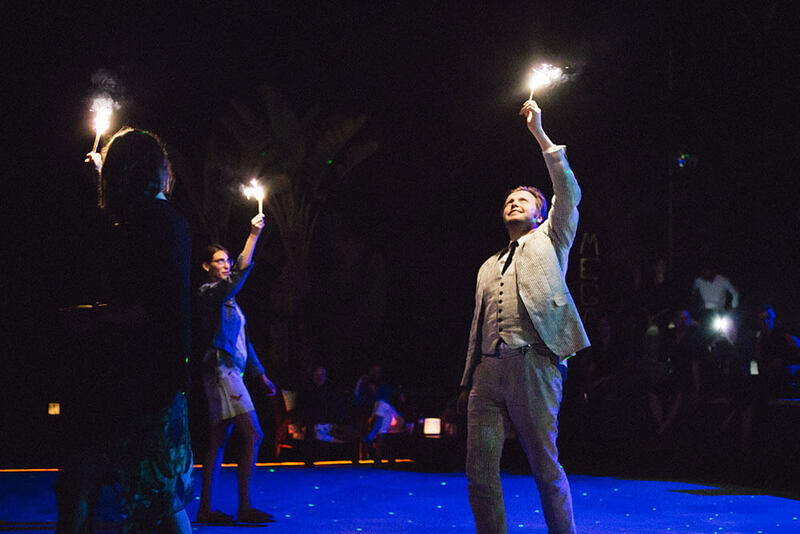 Curated by Camile Henrot, the 2016 edition featured Ragnar Kjartansson, who drew on the perimeter of the island to perform a musical voyage exploring themes of isolation, and Rachel Rose who depicted an apocalyptic hailstorm through video. 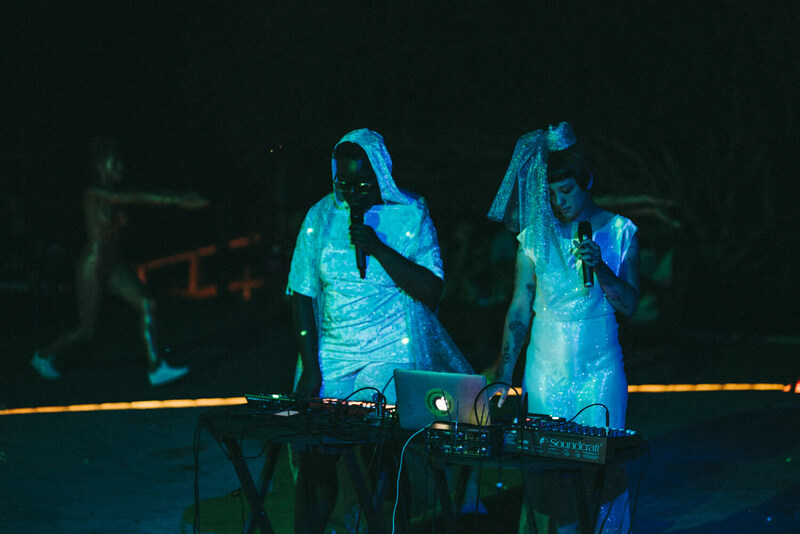 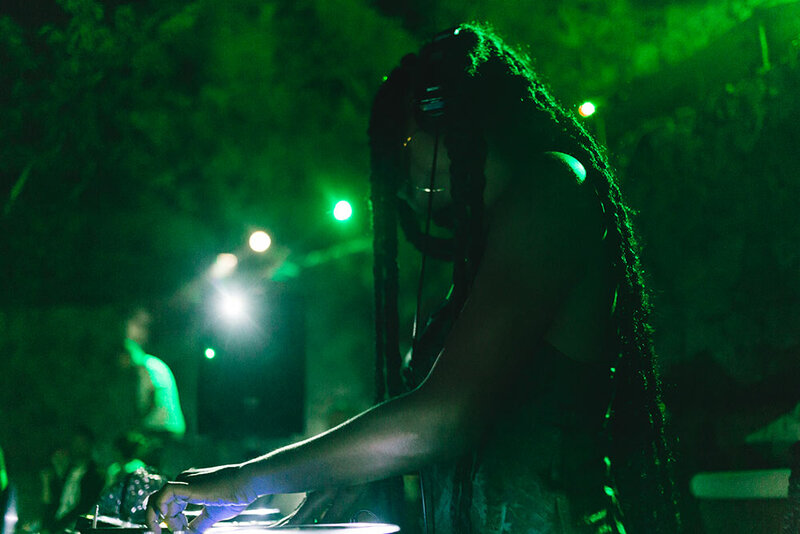 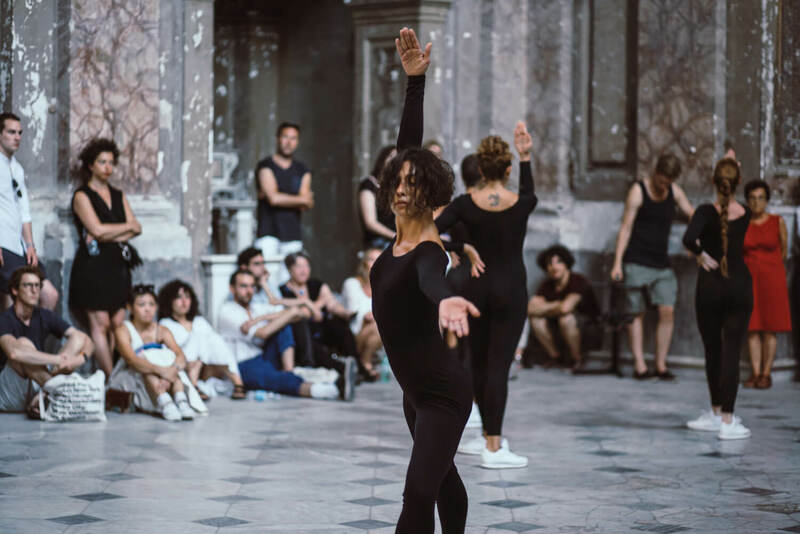 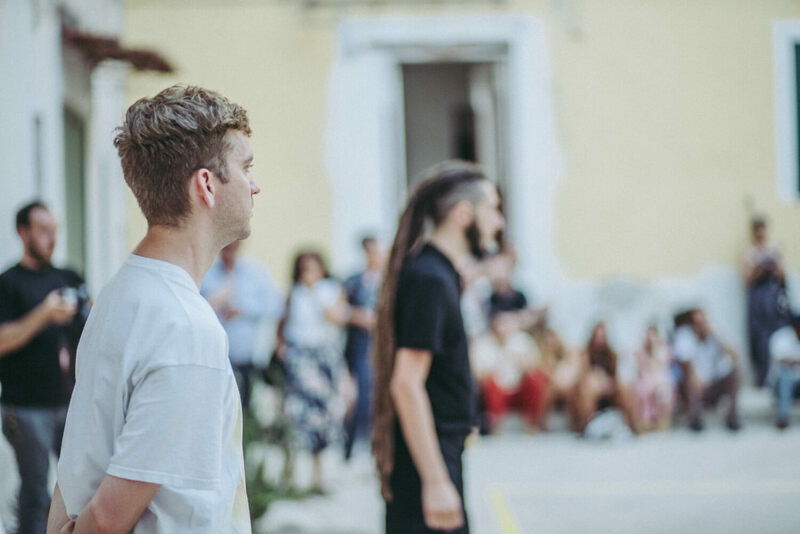 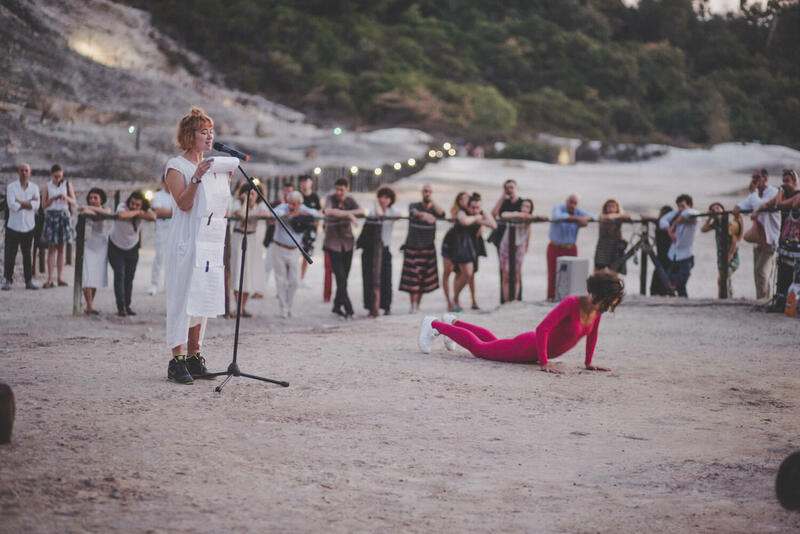 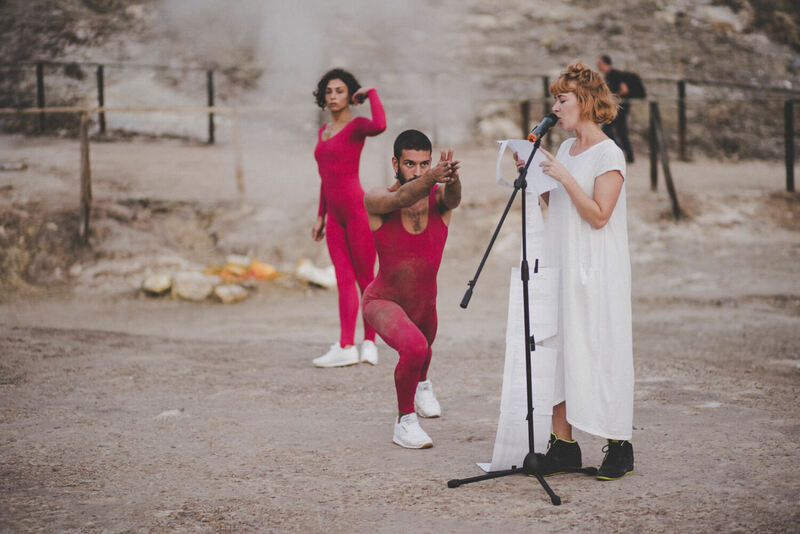 The programme also included DJ sets by Afro-disco pioneer Beppe Loda and artist-poet Juliana Huxtable, as well as a performative concert by electronic duo NY Tempers, who wrote lyrics inspired by the island. 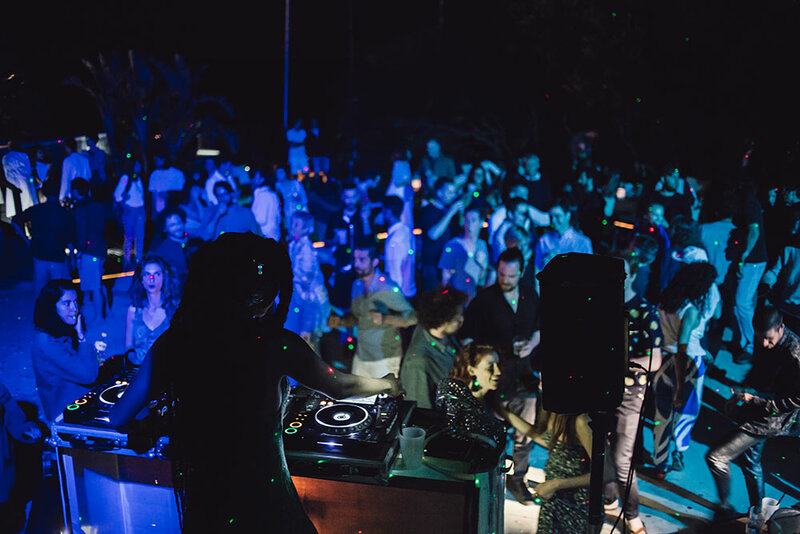 For the 2015 programme, legendary Italian DJ Danielle Baldelli headlined The Vinyl Factory’s cosmic disco under the stars. 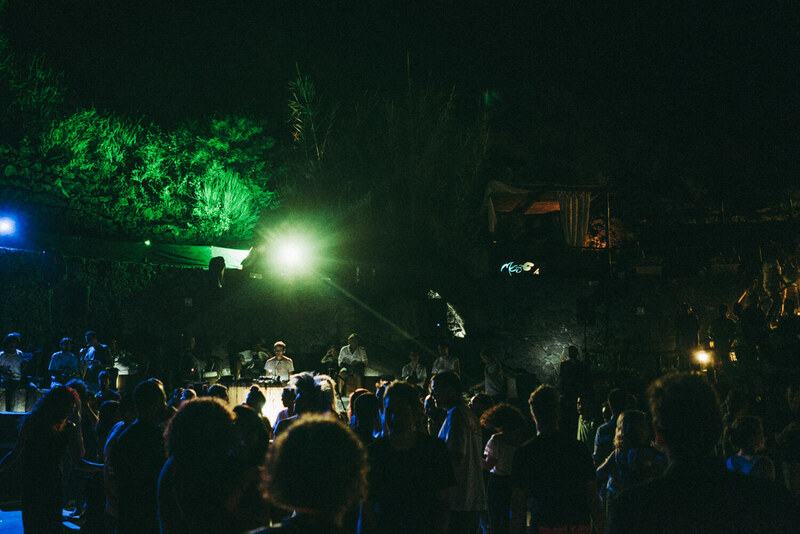 Staged in an open-air amphitheatre looking out to the Tyrrhenian Sea, Baldelli played an all-night set of Afro, disco and electronic body music. 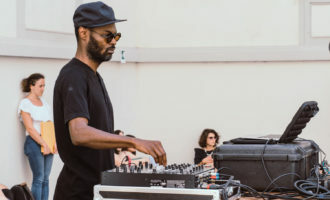 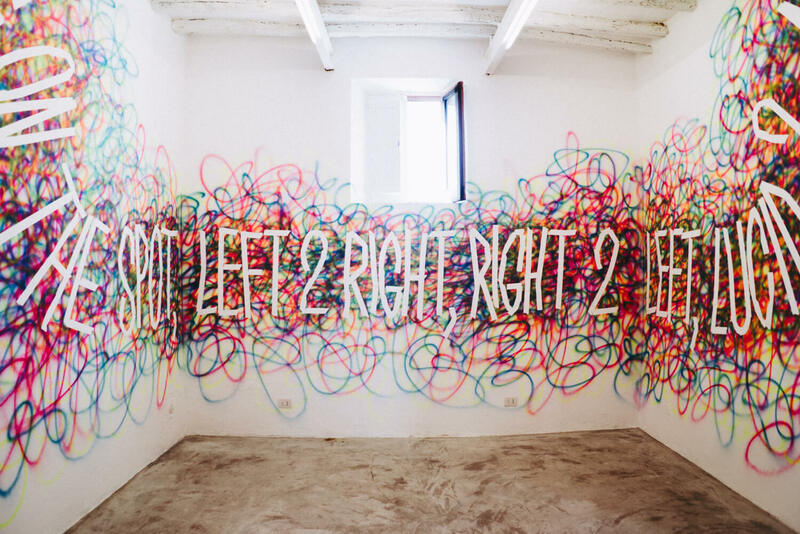 In 2014 the festival was curated by VF collaborator, artist Haroon Mirza and featured a musical programme by a host of VF label regulars, including James Lavelle and Eddie Peake.